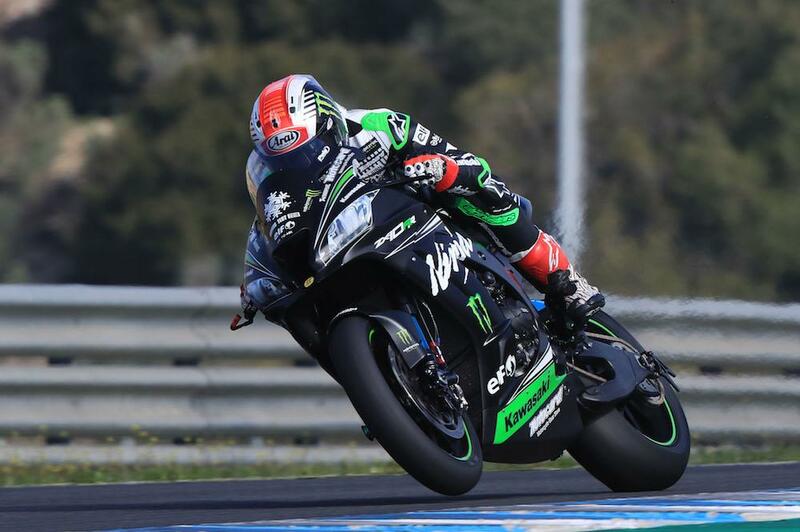 Jonathan Rea shrugged off two small crashes to start 2018 where he left off on top of the timesheets as testing got underway at Jerez today. The three-time world champion wasn’t to let two small lowsides get to him as he stormed to resume his now customary spot at the top of the WorldSBK timesheets. However, there was promise after the opening day with PATA Yamaha’s Alex Lowes just 0.2 seconds behind the Kawasaki man after six hours on track. Tom Sykes was third quickest on the second Kawasaki, ahead of the leading Aruba Ducati of Marco Melandri with the top four split by just 0.376 seconds. Chaz Davies was 0.8 back on Rea in fifth ahead of the second Yamaha of Michael van der Mark while Eugene Laverty was seventh quickest for Milwaukee Aprilia. Leon Camier clocked the eighth fastest time on the Red Bull Honda, which is still equipped with Cosworth electronics rather than the Magnetti Marelli system they’ll run this year. Yamaha test rider Niccolo Canepa was ninth quickest while Lorenzo Savadori completed the top ten on the Milwaukee Aprilia. Loris Baz was 11th quickest as he continues to get to grips with the Althea BMW, ahead of Superstock 1000 champion Michael Rinaldi. British Superbike’s Leon Haslam was 14th quickest on his JG Speedfit Kawasaki in his first fully-fit test since his nasty crash at Brands Hatch. Lorenzo Zanetti was 1.8 seconds off the pace as he debuted the 1000cc V4 Panigale Ducati will race in 2019. 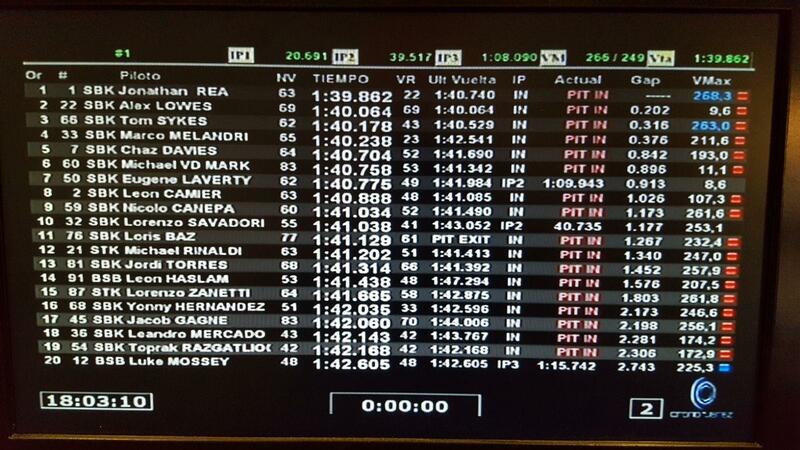 Testing concludes tomorrow.